The AP Stylebook editors today informed AP staff about a change to the entry on global warming. In addition, they described what goes into keeping the Stylebook up-to-date, including their outreach to experts. AP science writer Seth Borenstein was among those who provided guidance during the discussion that resulted in today’s change, which adds two sentences to the global warming entry. 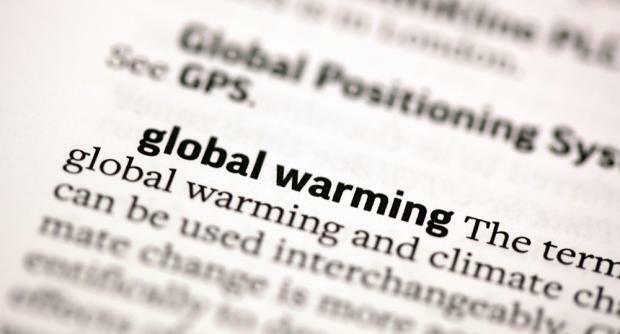 We have reviewed our entry on global warming as part of our efforts to continually update the Stylebook to reflect language usage and accuracy. The entry on global warming in the AP Stylebook now ends with two additional sentences. Some background on the change: Scientists who consider themselves real skeptics – who debunk mysticism, ESP and other pseudoscience, such as those who are part of the Center for Skeptical Inquiry – complain that non-scientists who reject mainstream climate science have usurped the phrase skeptic. They say they aren’t skeptics because “proper skepticism promotes scientific inquiry, critical investigation and the use of reason in examining controversial and extraordinary claims.” That group prefers the phrase “climate change deniers” for those who reject accepted global warming data and theory. But those who reject climate science say the phrase denier has the pejorative ring of Holocaust denier so The Associated Press prefers climate change doubter or someone who rejects mainstream science. global warming The terms global warming and climate change can be used interchangeably. Climate change is more accurate scientifically to describe the various effects of greenhouse gases on the world because it includes extreme weather, storms and changes in rainfall patterns, ocean acidification and sea level. But global warming as a term is more common and understandable to the public. Though some public officials and laymen and only a few climate scientists disagree, the world’s scientific organizations say that the world’s climate is changing because of the buildup of heat-trapping gases, especially carbon dioxide, from the burning of coal, oil and gas. This is supported by more than 90 percent of the peer-reviewed scientific literature. Some of you have asked how we make changes to the Stylebook. Such changes — whether they involve adding a new term or amending an existing definition — are driven by their relevancy to reporting the news. The overriding factor is to help our reporters and editors present the news accurately, concisely and clearly, no matter what the topic or where it happens. 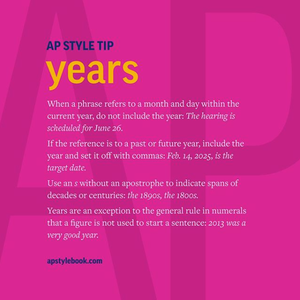 Keeping the Stylebook up-to-date is a year-round process, and we tap into many resources for advice and guidance. No change is made lightly. With the flow of daily news, word coinages and spellings in politics, business, technology, science, sports, entertainment and other realms come to the fore almost every week. Some new terms have a short life and fade away; other terms enter common speech and writing. A major task is to decide what new definitions and spellings merit inclusion for reporting the news. When we get a suggestion for a new entry or a revision, we consult with other editors by phone or email to weigh whether it is needed, is correctly spelled and has the proper definition. Topics deemed highly relevant to breaking news coverage may be added to the online Stylebook immediately and then incorporated into the annual printed edition. We consult with AP news leaders for some major changes, as we did in 2013, when “illegal immigrant” was dropped in favor of phrases such as living in or entering a country illegally or without legal permission. We may also seek outside expertise for specialized topics, as we did in 2013-14, when weapons and mental healthentries were added or revised. An advisory panel of outside editors and journalism teachers also offers a sounding board.